August 28 is the 100th birthday of comics great Jack Kirby, born Jacob Kurtzberg, whose work remains in print 23 years after his death and whose creations are more widely known than ever due to their adaptations in movies and TV. In the days before World War II, the United States experienced an explosion of pop culture due to the invention of the movies, the phonograph and cheap colour printing. These media, with no pedigree, were developed by hardscrabble entrepreneurs who used them to appeal to the same lower classes that they came from themselves. Being disreputable, these media were open to anyone; talent and productivity were all that mattered. Kirby found a home in comic books, Chaplin in films and Armstrong in music. The three had childhoods of poverty in common. 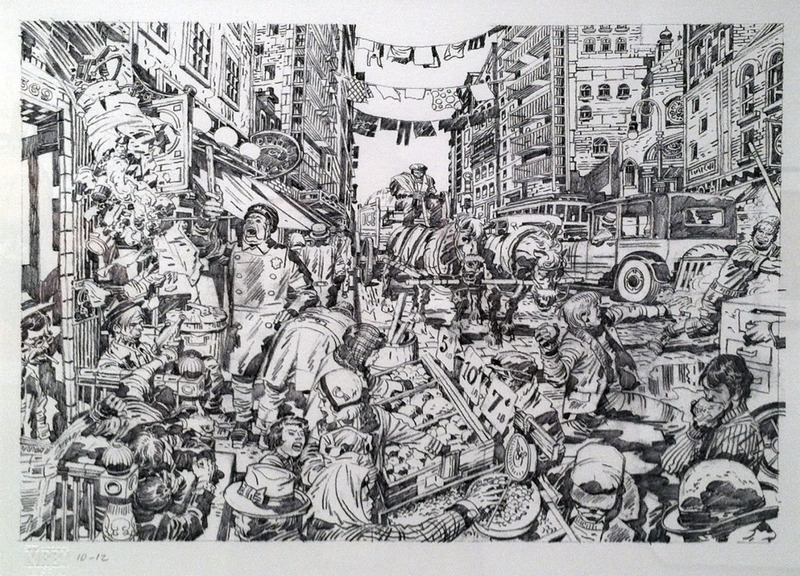 Kirby grew up on Manhattan's lower east side, perhaps the most densely populated place on Earth at the time. Violence was a daily occurrence, as rival gangs of kids fought to protect what little they had. Kirby's parents were uneducated immigrants and Kirby's father worked in factories for the garment trade doing piece work. Chaplin was the son of two music hall entertainers in London. His parents divorced, his father died of alcoholism and his mother suffered from mental illness. Chaplin spent time living on the street and in a workhouse for the indigent. Armstrong's parents did not cohabit and he was born in the black ghetto of New Orleans during the worst days of institutionalized white supremacy. He spent some time in a reform school for black children. Kirby benefited from a stable family, even if his father was not the best provider. However, while Chaplin and Armstrong had role models, Kirby was sui generis. Chaplin's parents and an aunt were all performers. Armstrong lived in a city where marching bands performed almost daily, publicising events and accompanying funerals. Even his reform school had a band. There were no artists in Kirby's family and the lower east side was not a place where art was valued. Kirby found a science fiction pulp magazine in the street. He was fascinated by the art and stories in it, but hid it, knowing his interest would mark him as different and make him a target. Each of the three was professionally supported by mentors. Chaplin's half-brother Sydney helped negotiate his contracts, making Chaplin rich and owner of his films by 1918. Armstrong was mentored by King Oliver, one of the leading jazz cornet players. Armstrong later worked for decades under the management of Joe Glaser, a tough man who kept Armstrong in the good graces of the gangsters who ran the venues that Armstrong played and made sure that Armstrong was fairly compensated. Kirby partnered with Joe Simon, another comics creator a few years older and with a better head for business than Kirby had. These mentors allowed the three to focus on their art. Each of the them changed their fields through the power of their work. Before Chaplin, film comedy was either the polite society comedy of Mr. and Mrs. Sidney Drew or the raucous, high-speed slapstick of Mack Sennett. Chaplin kept the slapstick but slowed it down to focus more on character. Throughout his career, he introduced elements of pathos and social commentary that added further dimension to his character of the little tramp. Jazz before Armstrong was an ensemble art. With his recordings in the 1920s, Armstrong made jazz the art of the soloist. His vocals added both humour and emotion to pop singing and influenced all the singers who came after him. Kirby's initial innovation was his dynamic posing of characters, bringing a much greater sense of motion to the static comics medium. However, his innovations went beyond drawing. His working class roots powered series like The Newsboy Legion and the comics he did after the war, showing characters struggling against poverty and prejudice. Kirby's time in the infantry in World War II left him aware of giant forces that buffeted individuals and threatened their survival. In the 1960s, he used that experience to expand comics' subject matter beyond Earth, reducing humanity from the dominant species to one beset by cosmic super beings with their own agendas. With Simon, Kirby co-created Captain America and after being swindled out of profits by the publisher, they moved to a competitor where they got a better deal. After the war, Simon and Kirby had a studio employing other artists and sold work to a variety of publishers. During this time, the two created the genre of romance comics, as well as working on crime, horror, western and superhero comics. Kirby's work on these titles, though not as well known as his later work, is some of his best. He was free to write and draw what interested him, and his stories are filled with fully developed characters struggling against social forces. After the war, the careers of Kirby, Chaplin and Armstrong diverged. Chaplin's politics alienated the public and the government during the cold war and he went into exile in the early 1950s, making just two more films. Armstrong continued to be popular until his death, touring the world and continuing to record. Kirby went through a fallow period in the 1950s when television and a panic over juvenile delinquency both reduced the demand for comic books. Simon and Kirby split up, leaving Kirby to freelance in a shrinking market. 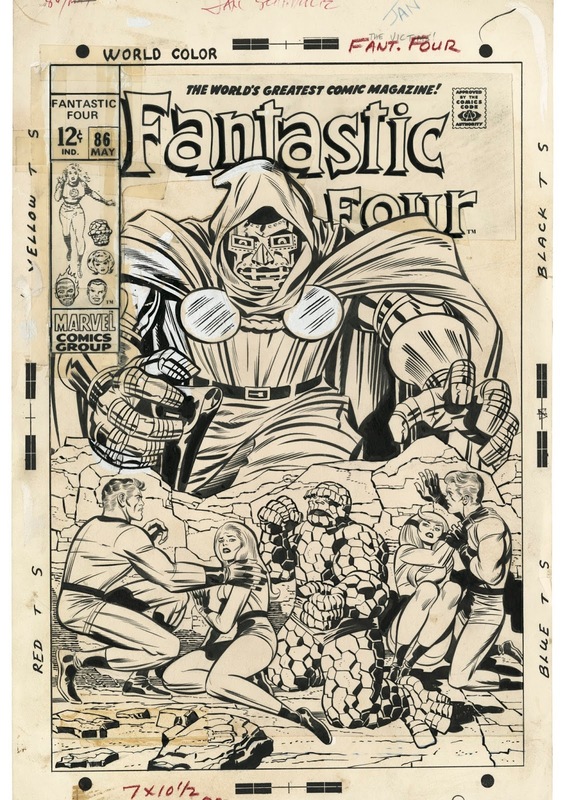 Eventually, he landed at Marvel, where his best remembered work was done, designing and co-creating The Fantastic Four, The Hulk, Iron Man, The X-Men, The Avengers, The Inhumans, The Black Panther, Nick Fury, S.H.I.E.L.D, Thor and hundreds of villains and supporting characters. While Simon and Kirby's partnership was one of equals, Kirby's work with Stan Lee was not. Lee was Kirby's employer, and his position as editor and dialogue writer meant that he controlled Kirby's income and could alter Kirby's stories without Kirby's knowledge or approval. Lee's lack of interest in writing stories from scratch meant that Kirby created the characters and plotted the comics, but Lee's editorial changes eventually caused Kirby to leave. At DC, Kirby created the purest work in his post-Simon career, writing and drawing The Forever People, The New Gods, and Mr. Miracle. 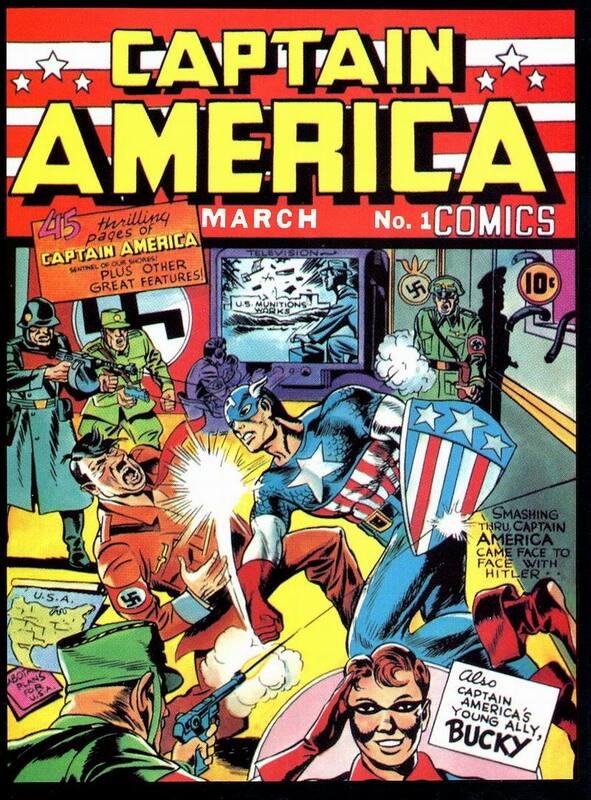 The three series were part of a single epic, built on Kirby's recurring theme of gods interacting with the human world and explicitly dealing with the threat of fascism. After questionable editorial decisions cancelled those titles, Kirby created Kamandi, The Demon and Omac. Returning to Marvel after being disappointed at DC, Kirby created Machine Man, Devil Dinosaur, and The Eternals, another series about humans witnessing gods in conflict. When editorial direction forced his hand yet again, Kirby moved into the animation business where, thanks to the union, he received vacation pay and benefits for the first time in his career. While Chaplin and Armstrong built up bodies of work that continued to generate income for them, Kirby did not own his comics work. He was paid once for each page he created. He received no bonuses for creating new series or characters. Only his last few comics series, done for new publishers, allowed him to own his creations. While movies and jazz were looked down on by cultural elites early in their existence, there were perceptive critics who saw the value of work by Chaplin and Armstrong. Eventually, the popularity of movies and jazz caused mainstream publications to pay attention to them. Comic books never achieved the level of popularity as those forms, so Kirby is not as well known. However, he is easily as influential and as important a creator. The level of contemporary comics criticism has improved in recent years but no one has done Kirby justice yet. His art has attracted much comment, but Kirby is far more than the way he drew. Yes, his abstract conception of human anatomy is visually powerful, but his evolving style, compositions, panel-to-panel continuity and themes have yet to be fully plumbed. In truth, Kirby is too big for comics criticism as it currently exists, as few are equipped to deal with both the artistic and literary aspects of his work. Like Chaplin and Armstrong, Kirby's work transcends pop culture due to his perception, his technique, and the depth of his emotional involvement. 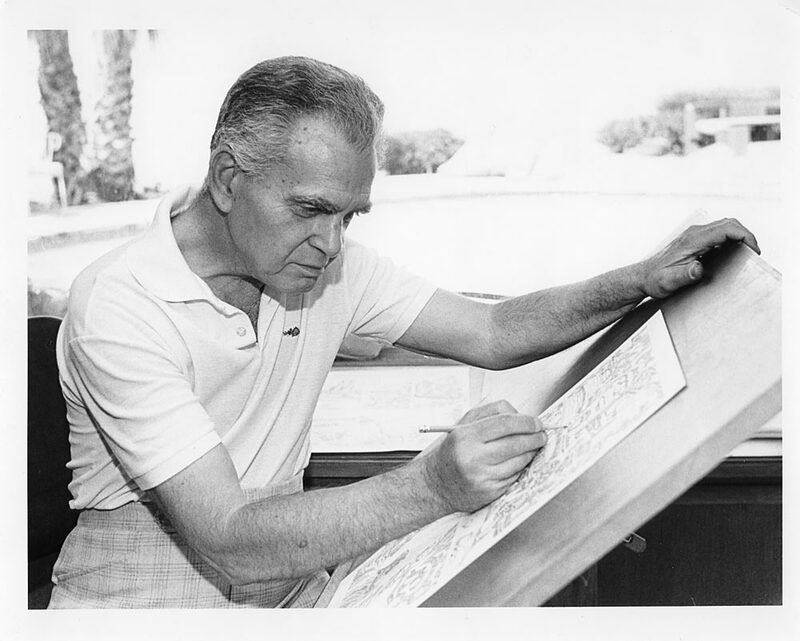 One hundred years after his birth, Kirby's work is there for anyone with a desire to be entertained or for anyone who cares to go deeper and understand that Jack Kirby was one of the most important creators of the 20th century. I recently read Opening Wednesday at a Theater or Drive-In Near You: The Shadow Cinema of the American '70s by Charles Taylor. The following quote from the introduction struck me for how it relates to animated features, though Taylor ignores animation entirely. "The best genre movies, no matter how rooted in the conventions of Westerns, detective stories, adventure stories or noir, have always involved adult emotions: temptation, guilt, sexual desire, the pull of responsibility. The violence in those films is wrought and suffered on a scale far more direct than the explosions and anonymous mass killings of today's big-budget action spectaculars. In the best genre films, we're immersed in a world where decisions have to be made and consequences have to be endured." Family films are also a genre. And they're defined, in large part, by the lack of consequences that have to be endured. It is this lack of consequences that ultimately make family films so lightweight. No matter what danger the characters are exposed to, in the end there are no consequences. Since the majority of animated features are family films, they are caught in this trap. This isn't true of every animated feature. Bambi, Princess Mononoke, Pom Poko, The Wind Rises, Princess Kaguya (sense a pattern here?) don't conform. Some Pixar films develop consequences early (Finding Nemo's death of the family, Up's death of Ellie) but they occur so early in the film, they're more inciting incidents that consequences that must be endured. By the time the films end, the survivors have triumphed and all's right with the world. Audiences are happy with the genre as it is. It's light entertainment, safe for the kids. Executives are happy with the status quo as the films are lucrative. So animation artists are stuck honing their craft rather than expanding their content. While people change intellectually and emotionally as they age, animation artists have to put their evolving perspectives on life on the shelf. They have to deny their own experience and manufacture fictions where truth may seep into the cracks but can't be central to the stories they tell. It's hard for me to stay an animation fan as I age. I want entertainment that speaks to my experience of life, not the experiences of a child. For me, craft is not enough. Yes, I can admire the design, the direction, and the animation. I can admire the construction of a story (though not often enough these days), but the story itself fails to connect to me. Not every genre is for everyone, but the family film starts out excluding adult concerns. Charles Taylor thinks that the modern tentpole blockbuster has done the same, so maybe the family film is just being pulled along with the general drift. While cable and streaming TV have created drama series that have captured large audiences and critical acclaim, TV animation hasn't even dipped a toe into that water. Young animation artists are happy to create work similar to the work they loved growing up. But as they age, there's nowhere for them to grow in their medium. I don't see that changing, though I wish it would. NHK World has posted a video interview with Studio Ghibli's producer Toshio Suzuki. The interview is only available until August 15, so don't dally. I was deeply impressed with Suzuki after seeing the documentary The Kingdom of Dreams and Madness, which I reviewed here. 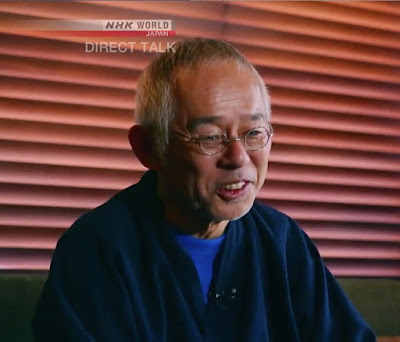 The NHK piece has more on Suzuki's background in publishing and how he and Miyazaki established their relationship.